Austin will always be very dear to our hearts. Not only did we meet and fall in love with each other there, but we fell in love with the city as well. Whenever anyone asks about Austin, I always remark on its infectious vibe. It is laid back yet also one of the most active cities in the county; it is welcoming and exemplifies Texas charm; but above all, it is fun. Enjoy! The “25: 35 Short List” – these are the few establishments that we feel have a earned a special place of distinction in Austin and to which we give our highest recommendation (they are also bolded and marked by “*” before the business name). The rest of our Austin recommendations are listed below it. 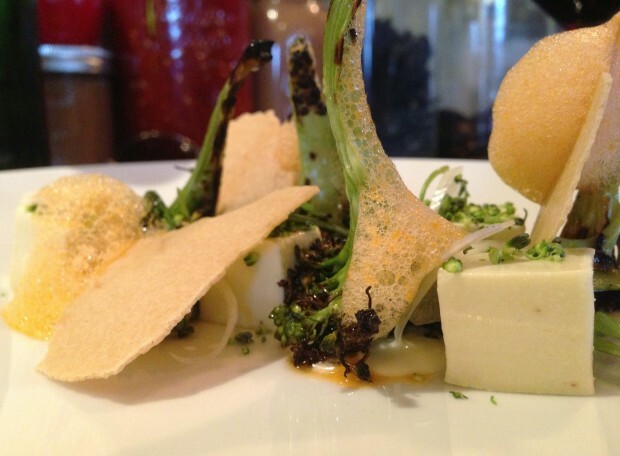 *Barley Swine – our favorite meals of 2013 and 2014 were at James Beard nominated Chef/Owner Bryce Gilmore’s Barley Swine. We had been wanting to go here for quite a while but finally pulled the trigger to go when we discovered they began taking reservations on certain nights. This is one of those places that you will just have to trust us on. You can’t look at the menu, it will deceive you. Combinations that seemingly make no sense or just sound odd (hay roasted beets with mole or grilled pig face with trotter or brussels sprouts with hoe cakes) are pulled together with effortless ease. The relaxed vibe and the reasonable prices also make Barley Swine stand out among it’s peers. 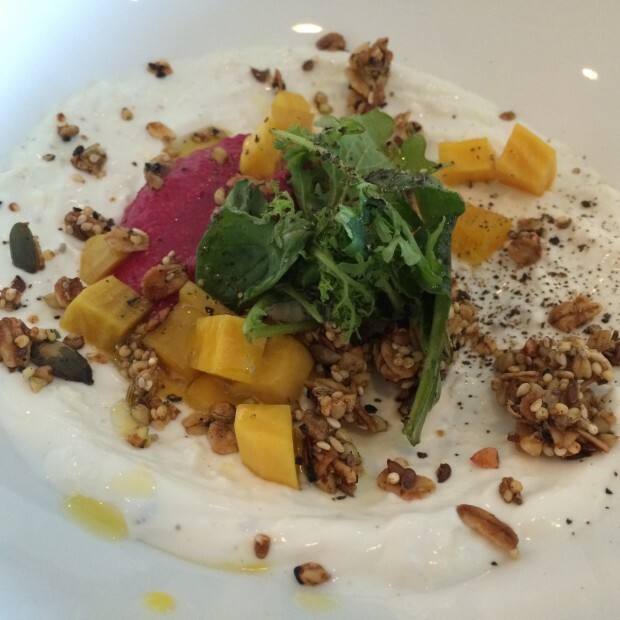 In 2014, Barley Swine changed its format to Prix Fixe/set menu. They are relocating to Burnet Road in January 2016. 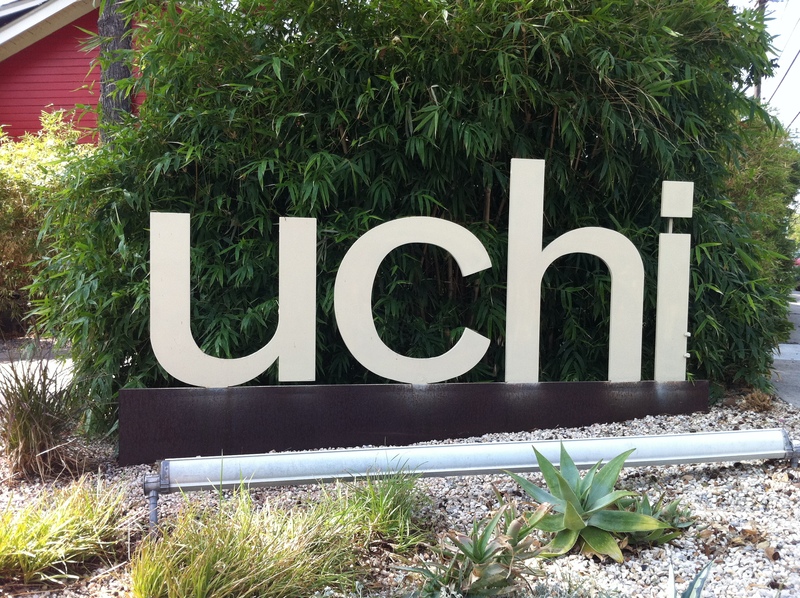 *Uchi – truly one of Austin’s best restaurants from Chef/owner Tyson Cole. This authentic Japanese restaurant has inspired an entire Asian food movement in Austin. Creative and original menu with more than just sushi. A visit here or to it’s sister restaurant Uchiko (see below) is a must for foodie’s visiting Austin. *Uchiko – “Pristine”. The word that keeps coming to mind when I think back to our meals at James Beard award winner Chef Tyson Cole’s Japanese farmhouse, Uchiko. The look of the restaurant, the service and the food itself all just pristine. Uchi and Uchiko are two of the few restaurants around that still prioritize knowledgeable and attentive service and their efforts are greatly appreciated. The menu changes often but some standouts are the Hama Chili (baby yellowtail with thai chili and orange), Brussels Sprouts (crispy with lemon and chili) and the Gyutoro Nigiri. 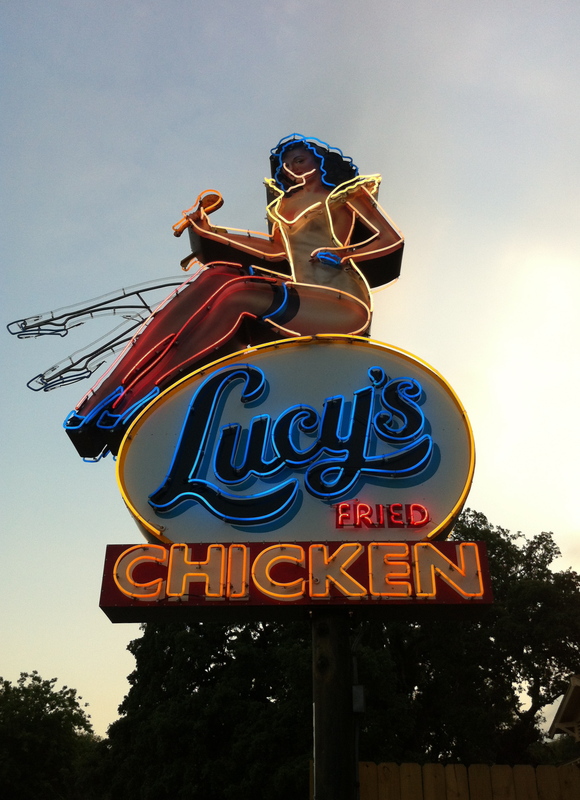 *Lucy’s Fried Chicken – This restaurant grew from the popularity of chef/owner James Holmes’ Sunday Brunch fried chicken served at his upscale restaurant, Olivia. This restaurant hits the right notes – cool, laid back vibe with predominantly patio seating (both covered and uncovered), good selection of beer and cocktails, nice side dishes and most of all – delicious fried chicken! The Bucket O’ Chicken easily serves 4-5 and we found the chicken tender and moist and the skin was light golden crisp and loved by children and adults alike. Their Corn on the Cob had a great jalapeno kick and left our mouths on fire. Don’t leave without the Lime Pie – a heavenly treat with lime custard and coriander-wafer crust topped with whipped cream. The Local Farm Vegetables dish with grilled kale is outstanding. 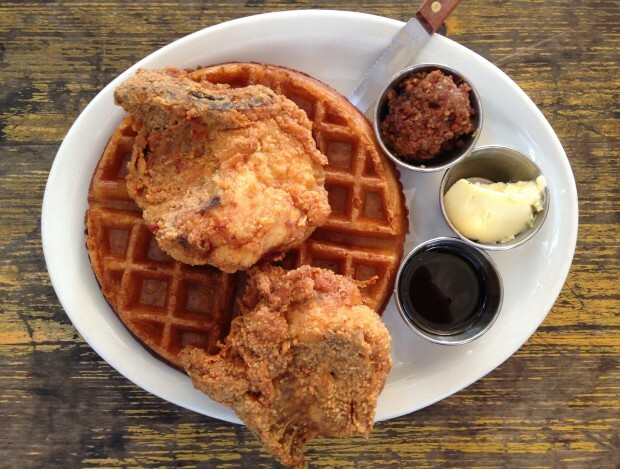 The Chicken and Waffles at brunch is a must. 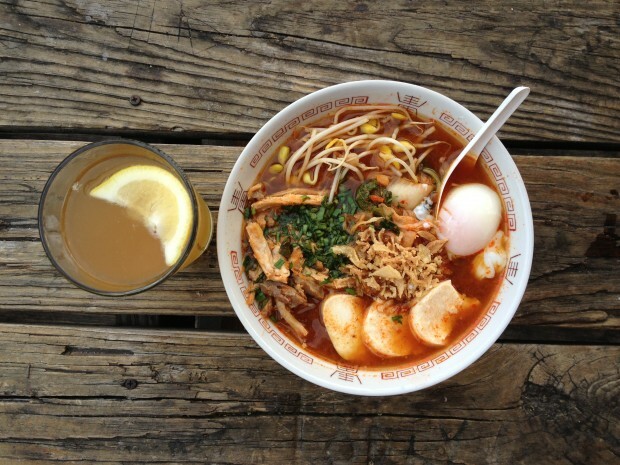 *Ramen Tatsu-ya – this ramen shop housed in an unassuming strip mall in north Austin serves the best ramen that we have ever had. Both the Tonkotsu Original and the Veggie Ramen were outstanding and a fantastic value for $9 for a massive bowl. Top your ramen with one of their flavor “Bombs”. Beer available. Open for Lunch and Dinner for dine in only. Expect to find a crowd lined up outside the door. Opened a new location on South Lamar in early 2015. 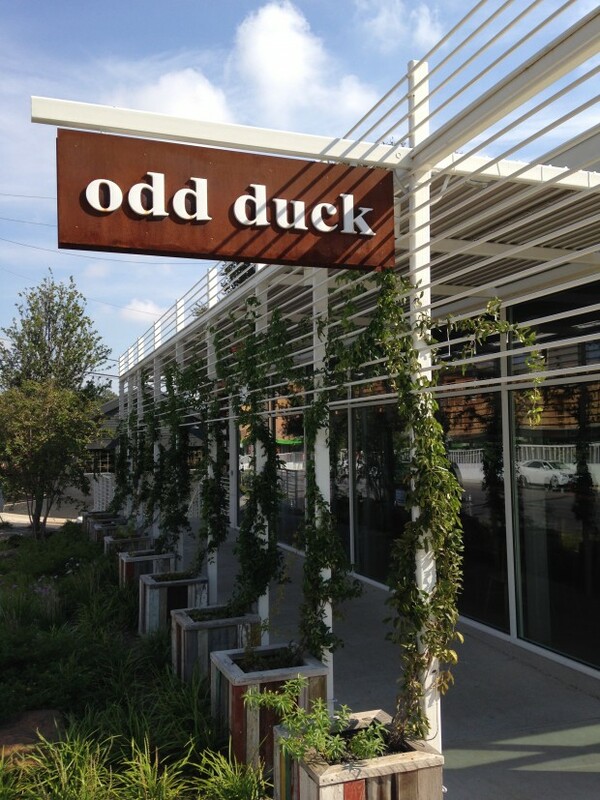 *Odd Duck – one of the biggest openings of 2014 was Chef Bryce Gilmore’s brick and mortar version of his much-missed food truck Odd Duck Farm to Trailer. Gilmore had shut down operations on his truck since 2011 while he focused on operations at Barley Swine. When word spread about an opening of an Odd Duck restaurant, expectations were enormous and were exceeded according to most all. 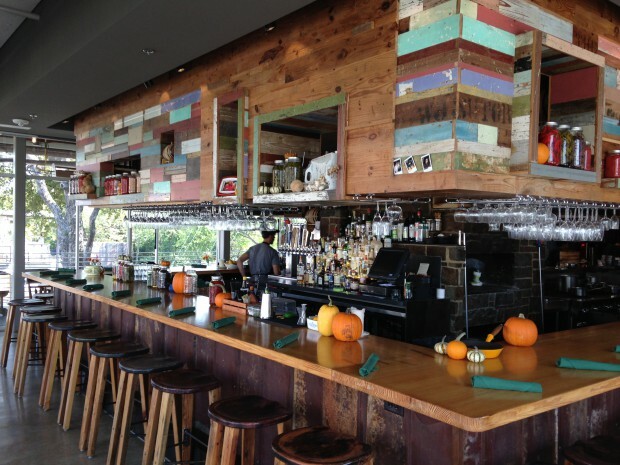 The decor is stellar – mostly sleek modern with enough touch of rustic barn wood to keep it accessible. Just as in Barley Swine the food here still maintains a hyper focus on seasonal local ingredients creatively prepared. Odd Duck differs from Barley Swine in that it functions more like a traditional restaurant as opposed to Barley Swine’s prix fixe menu. We love them both and highly suggest you try them both as well. The menu constantly changes but standouts were the Fried Fish Tacos, the Pig Faced Cuban and the Beef Tongue Reuben. Open for lunch, happy hour, dinner and Sunday brunch. 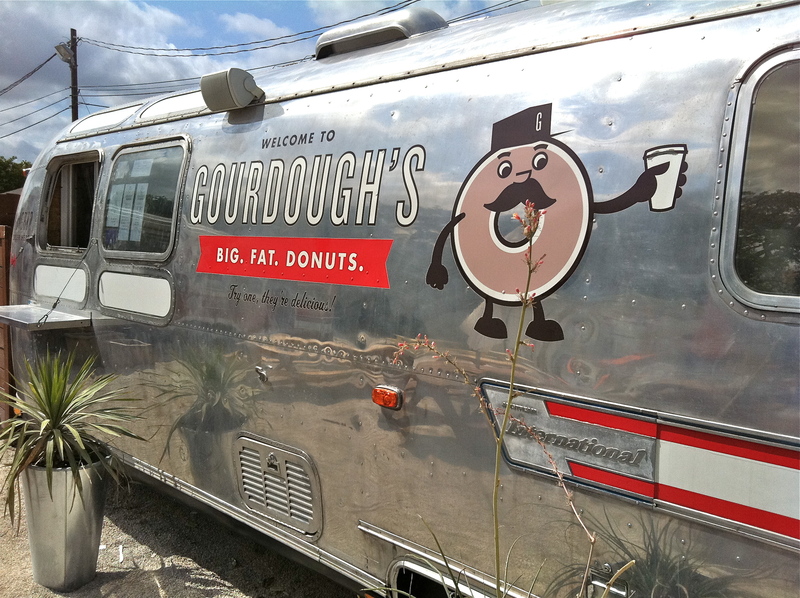 *Gourdough’s – their motto is “big.fat.donuts” and they aren’t kidding with their unique take on donuts at this South Lamar food trailer. 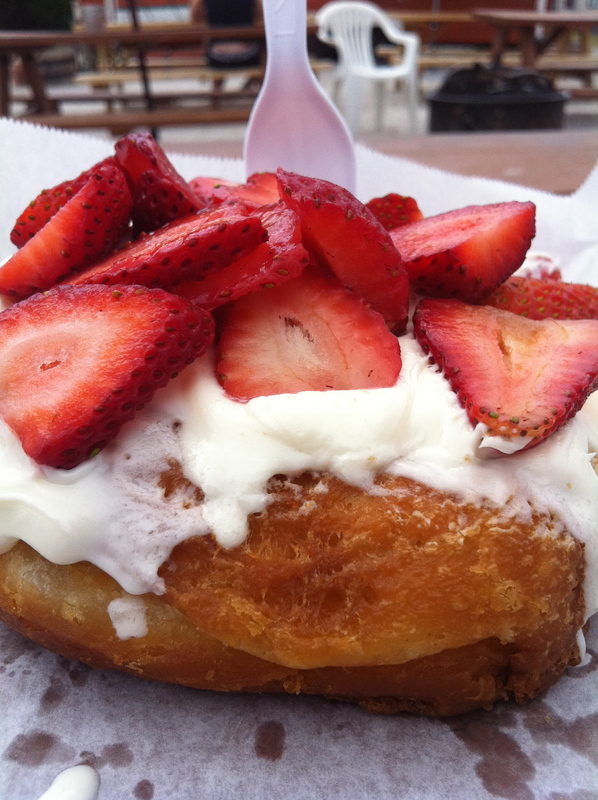 The Miss Shortcake has a donut topped with cream cheese icing and fresh strawberries, while the Mother Clucker has fried chicken strips with honey butter. 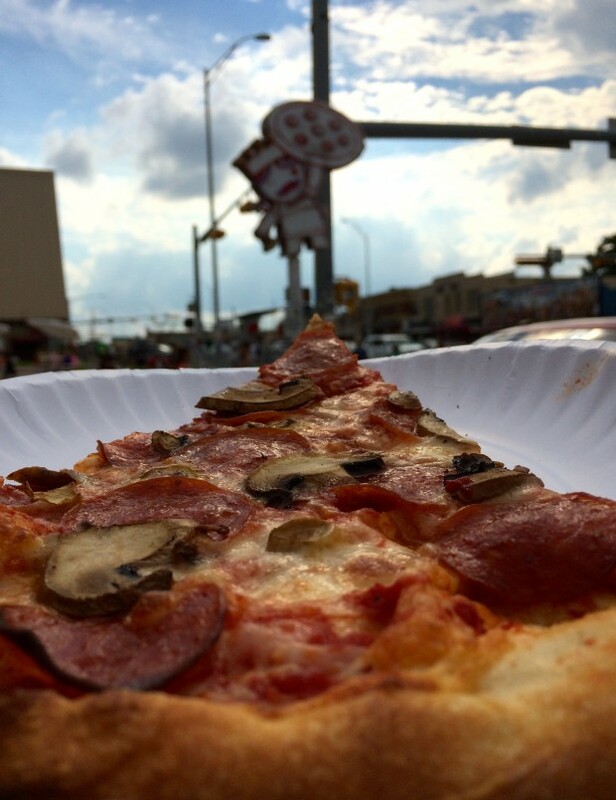 *Home Slice Pizza – fantastic NY style pizza in a fun, vibrant Austin-y atmosphere on South Congress. They also have More Home Slice next door for pickup or pizza by the slice. Open late. 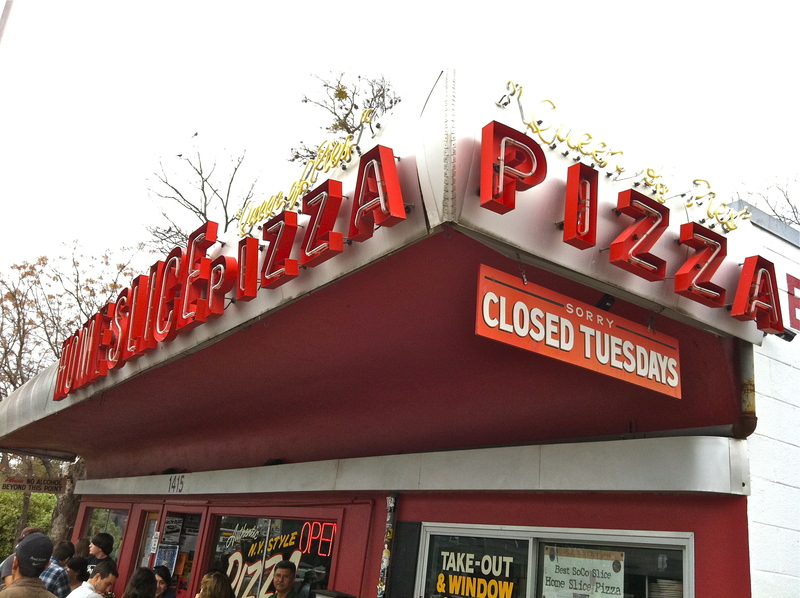 Their #5 Pizza – Pepperoni and Mushroom – is amazing. *Lick Ice Creams – fresh, creative and wonderful ice cream using local and organic ingredients. 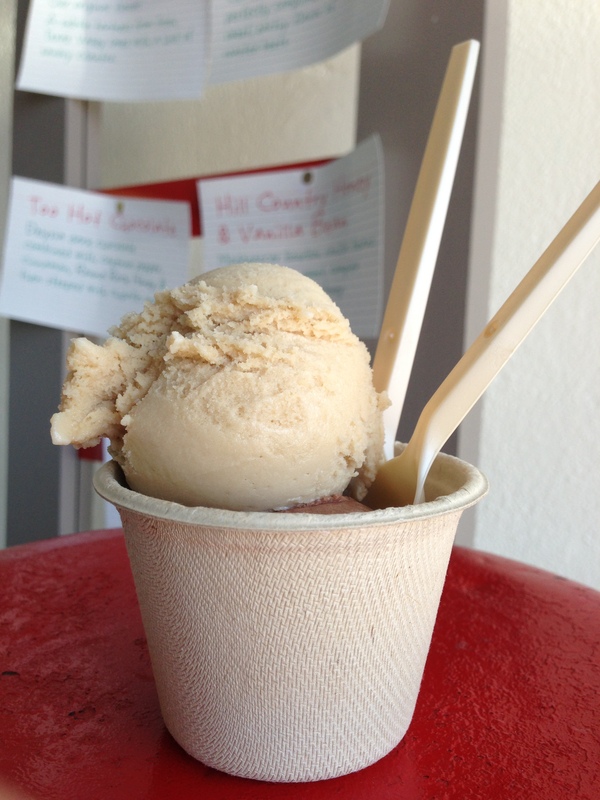 One of our favorite places in Austin and hands down better than Amy’s Ice Cream in our opinion. The Caramel Salt Lick, Goat Cheese with Thyme and Honey, Dark Chocolate with Olive Oil and Sea Salt, Vanilla with Local Honey, Cream with Strawberries, and Milk Chocolate are all great, but, our favorite? The Caramel Salt Lick. They are more than willing to let you sample all of the flavors. Another nice thing for those not wanting dairy are a host of flavors utilizing coconut milk. 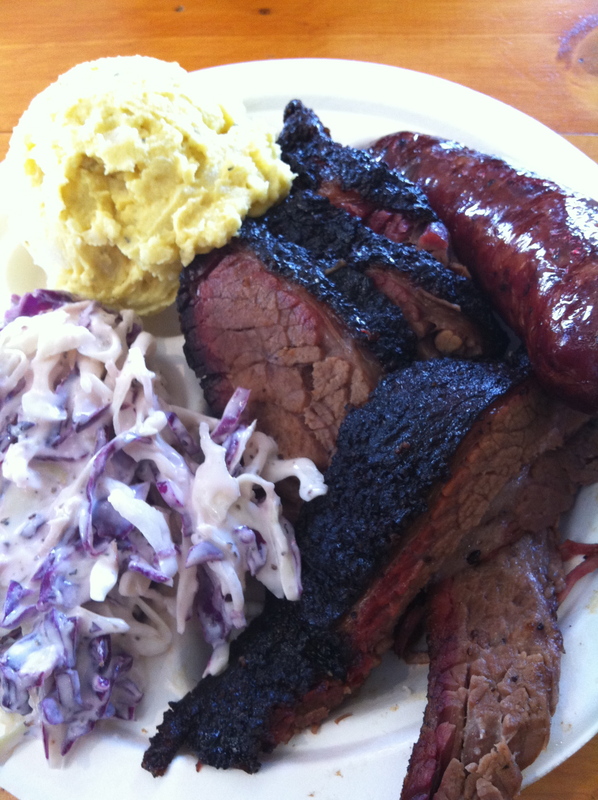 *La Barbecue – joined the BBQ scene in Austin in 2012, but has already become one of the most beloved. Relocated to the Eastside in 2014 it’s calling card initially was for those who want Franklin Barbecue like quality barbecue but aren’t willing to brave the 2+ hour lines. That may have been true for a while, but now the word is out and expect a wait when you arrive – and plan to get there BEFORE they open. It is a tough call between Franklin and La Barbecue, but either way, La Barbecue is probably some of the best barbecue in the country. The massive beef rib was full of flavor and their brisket is up there with the best. *Elizabeth Street Cafe – Vietnamese cafe meets French bakery in this beautiful small restaurant on South First from Chef/Restaurateur Larry McGuire. Open for breakfast, lunch and dinner but we love it for breakfast – where you can get a Vietnamese coffee made from Stumptown beans, have some of their delicious pastries (particularly the amazing Kouign Amman). In addition, you must try one of their savory breakfast items like the Sticky Rice with Ginger Sausage and Poached Eggs as well as the Crispy Vermicelli Cakes. Prices in general are higher than for that of an authentic Vietnamese restaurant but we feel the quality ingredients, delicious food, decor and experience more than make up for it. Launderette – an instant Austin favorite once it opened in the Holly neighborhood in 2015 by Chef Rene Ortiz and Pastry Chef Laura Sawicki. This is the type of food and the type of restaurant that we want to frequent these days and was one of our top meals of 2015. 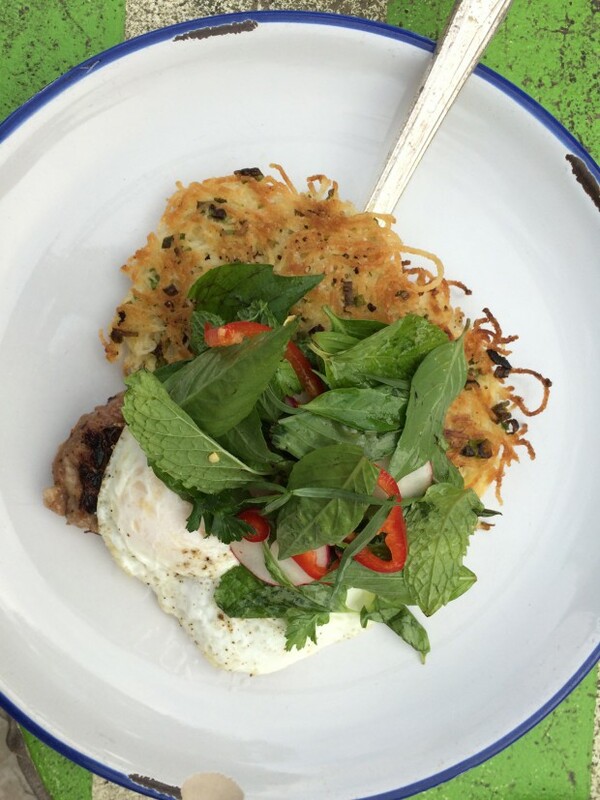 The Labneh is a must try dish as is the Plancha Burger. Other standouts were the Brick Chicken and the Red Snapper Crudo. 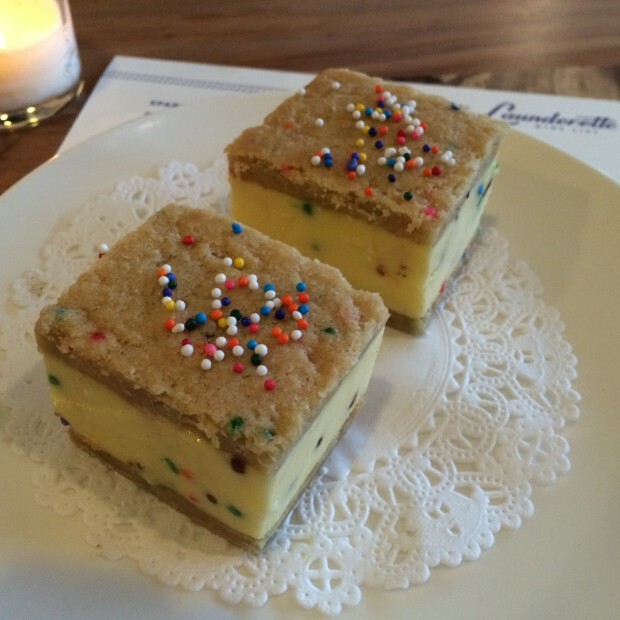 Be sure to save plenty of room for their desserts which are some of the best you will find anywhere – the Birthday Cake Ice Cream Sandwich and the Hazelnut Layer Cake were sensational. 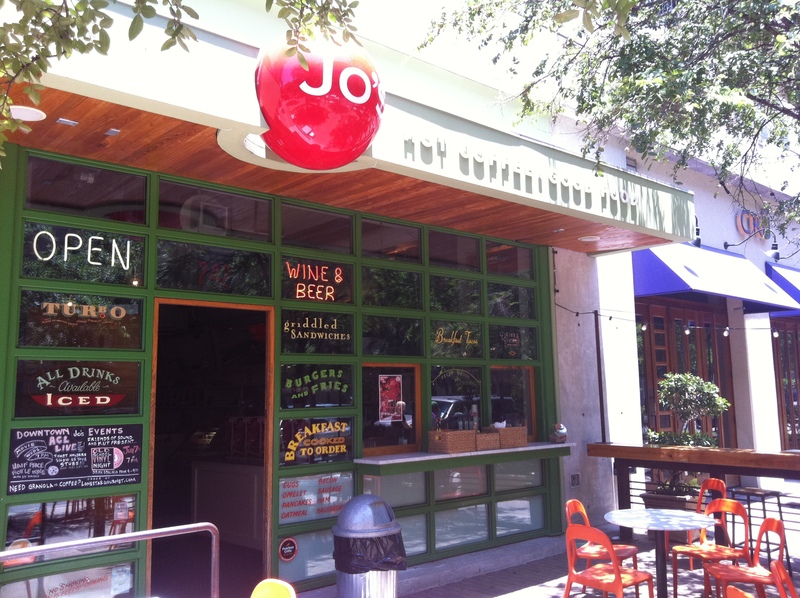 *Jo’s – great coffee at 2 locations – one an outside stand on South Congress (a great place to people watch in the SoCo area) and one on 2nd (with a sit down restaurant with great sandwiches and burgers). The Iced Turbo is their signature coffee drink. Now with their own custom Jo’s Blend organic coffee beans from Stumptown. TO STAY: There are many areas and places to stay in Austin, but overall we recommend staying in the Downtown or South Congress Area. These areas give the best access to bars, restaurants, activities, parks and Lady Bird Lake (aka Town Lake). 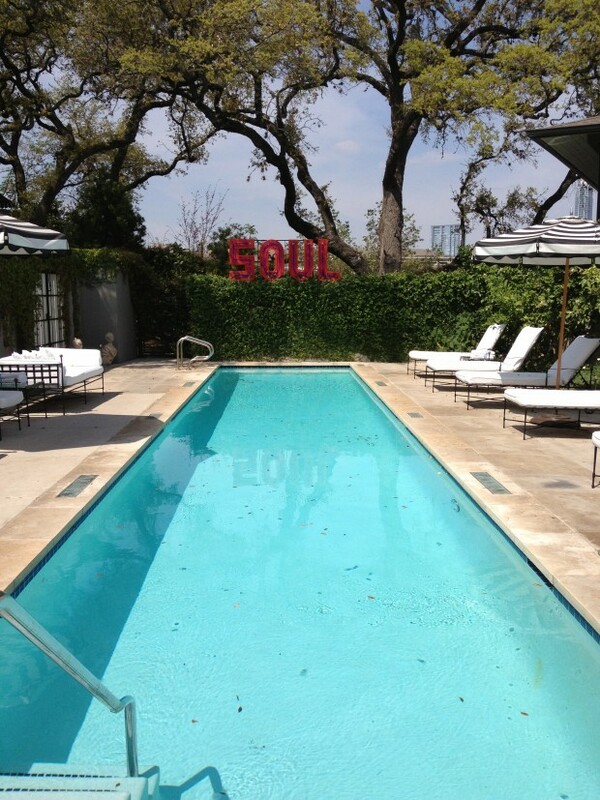 Hotel Saint Cecilia – when you walk onto the grounds of Hotel Saint Cecilia it is hard to believe that you are a brief walk from South Congress. Quiet, immaculate and oozing with cool. The poolside bungalow is a perfect place to spend the weekend. 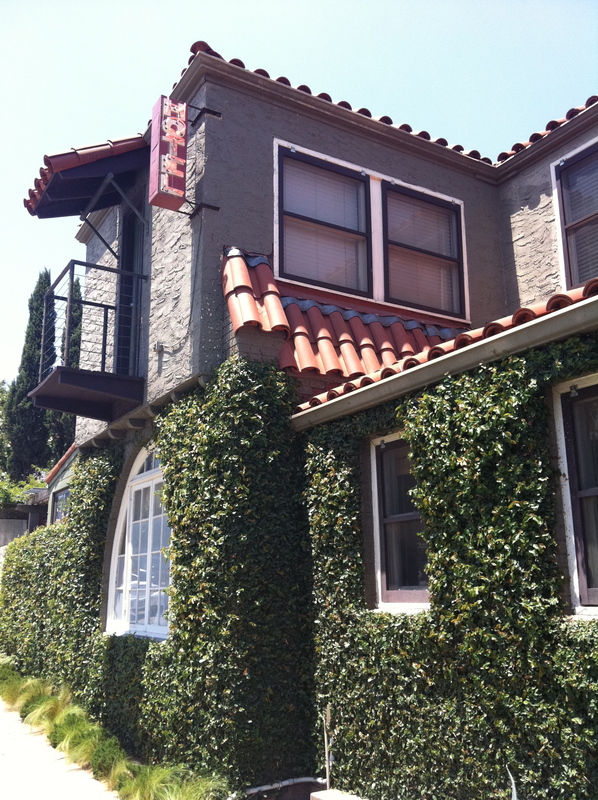 This beautiful boutique hotel is from Liz Lambert, who also owns Hotel San Jose. Hotel San Jose – a unique Austin original boutique minimalist hotel right on South Congress (great location) and awesome small outside bar and pool. Jo’s Coffee is right next door and a great way to start a morning. 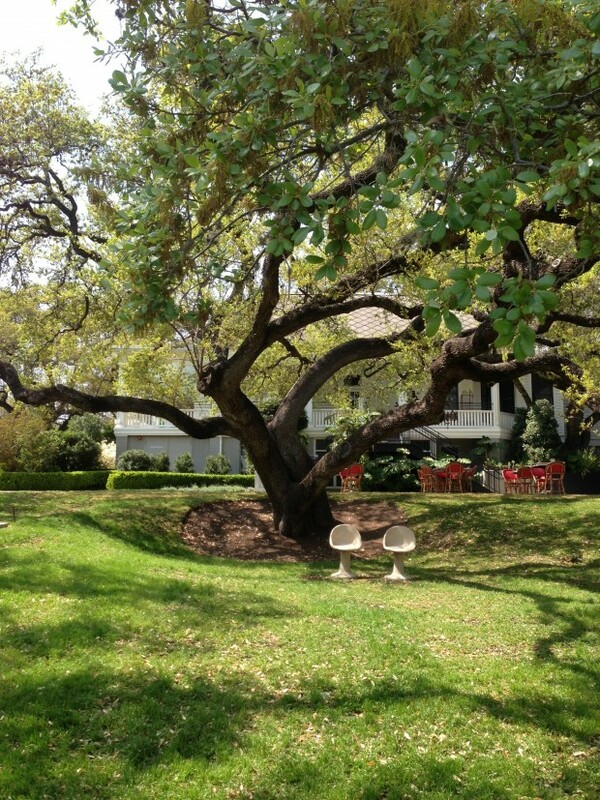 Kimber Modern – wonderful small modern boutique hotel just off of South Congress. Each room has it’s own color theme and there is a great shared outside patio. Drinks in the room are complementary, free parking and happy hour treats are also available. Driskill Hotel – Historic, elegant hotel in Downtown Austin. Elegant hotel restaurant as well. La Condesa – this upscale Mexican restaurant was nominated for a James Beard Award for Best New Restaurant in the county in 2010. Beautiful decor, impressive drink list and wonderful cocktails. 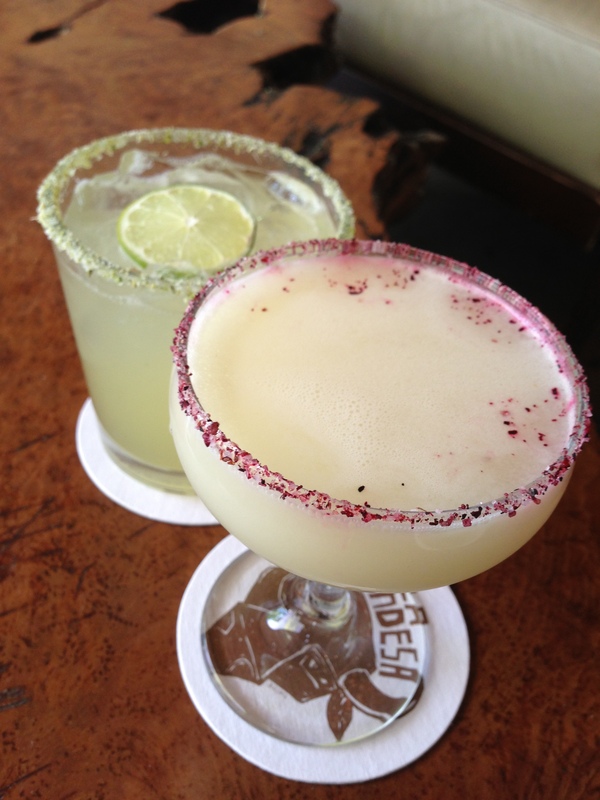 We loved their salsa sampler, Cubanita torta, and Margarita de Clasica with cactus-lemongrass infused salt rim. They opened a new site in Napa Valley in Summer 2011. 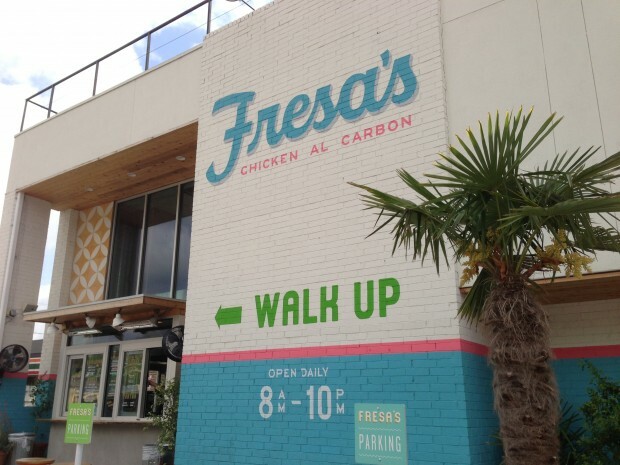 Fresa’s Chicken Al Carbon – not many drive-thru/walk-up restaurants can boast the high quality of food of Fresa’s. Featuring wood oven prepared Tex-Mex utilizing locally raised chickens and house made tortillas in their delicious food, picking up food from here is as tempting as actually going to many other Tex-Mex places in Austin. Especially when you can also pick up some quality Austin beers (or Mexican ones), wine or even Margarita kits to go. Our favorite is the Wood Grilled Meal #1 with Achiote and Citrus as well as their Classic Torta. Pick up a Salsa Trio, Guacamole and some Elote (Mexican corn) to complete the meal. 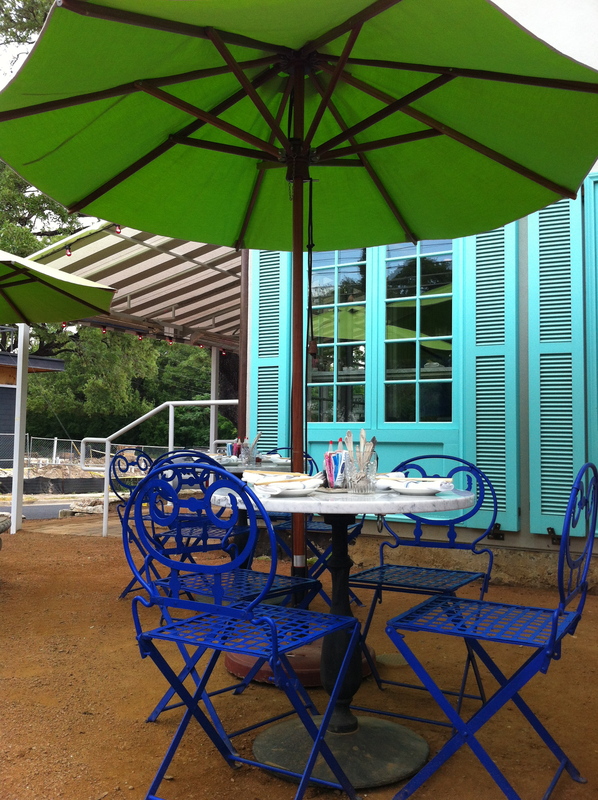 Maudie’s – popular among Austin locals and several locations around town but the one to hit is Maudie’s Cafe off Lake Austin Blvd. Casual tex-mex with great chips/salsa (hot! ), fajitas, Chicken Especial Quesadilla and Joe’s Margarita (margarita with a splash of OJ). Chuy’s – the original site for this funky classic Tex-Mex favorite is in the Barton Springs area with burritos “as big as yo face”, great creamy jalapeno dip, New Mexican Martinis, Chile Relleno, and quesadillas. 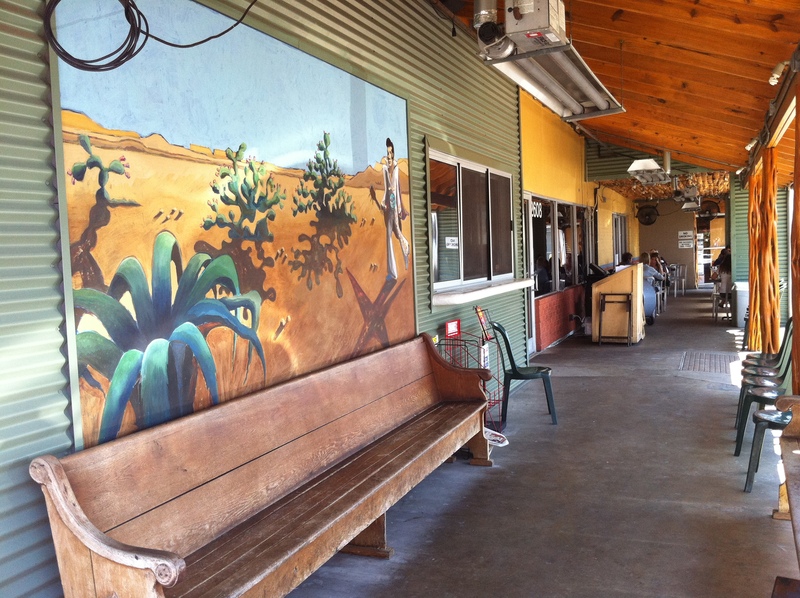 Juan in a Million – the Don Juan is one of the best breakfast tacos around. It is huge! The owner, Juan, wins best handshake in Austin every year. 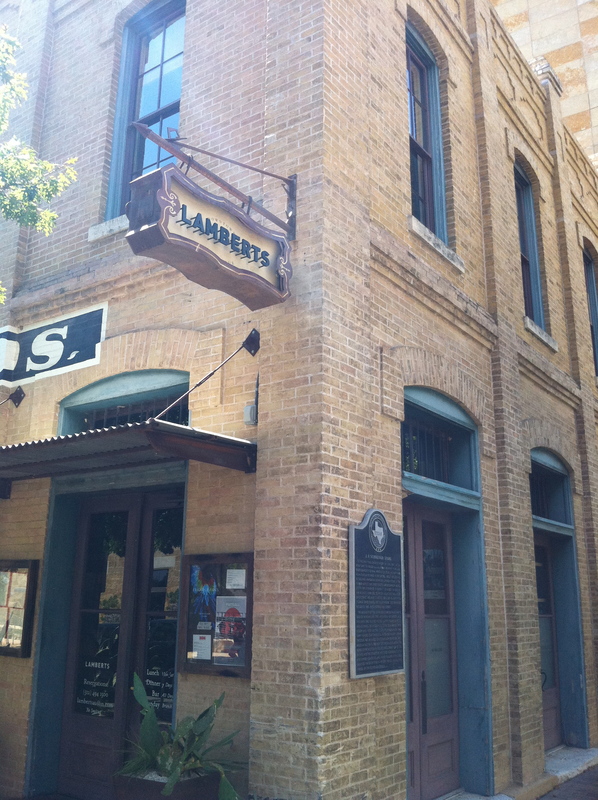 Lambert’s Downtown Barbecue – upscale BBQ in downtown Austin in a chic layout with live music upstairs, nice bar and overall excellent appetizers, BBQ and dessert. The Salt Lick – One of our favorite BBQ joints is here at The Salt Lick, a 20 min drive south of Austin to a dry county in a city called Driftwood. Open layout with BBQ pit inside, all you can eat beef brisket, sausage, and short ribs. 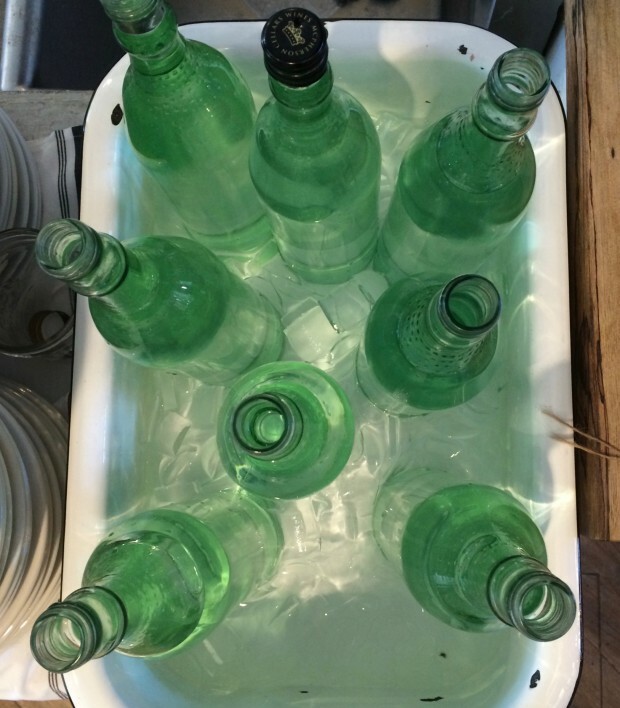 Get a cooler and bring a few beers (and cash, they don’t take credit). We even ate there for our Rehearsal Dinner. 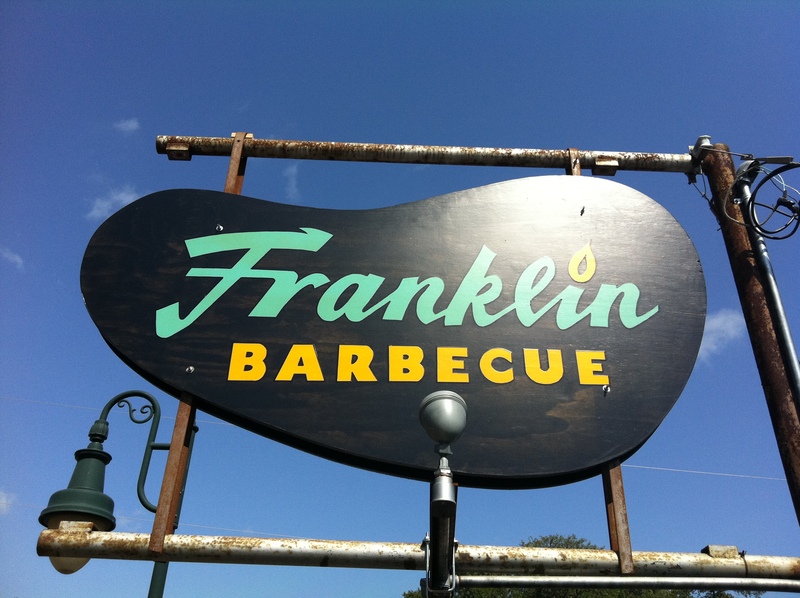 Franklin has the edge when it comes to brisket, but we think The Salt Lick has the best sausage. Musashino – some of the best sushi in town, with a more authentic feel. North of Downtown. 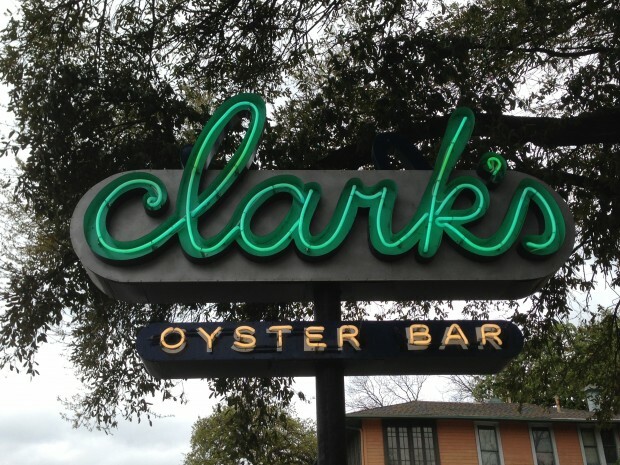 Clark’s Oyster Bar – gorgeous oyster bar and neighborhood seafood restaurant from Chef/Restaurateur Larry McGuire on West 6th. 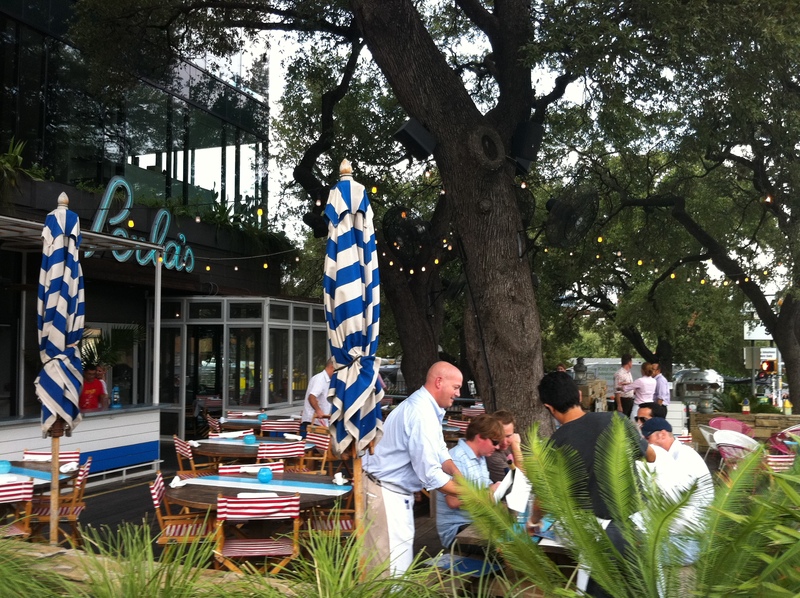 Kind of a “little-sister” restaurant to Perla’s, but more quaint. Nice selection of West and East coast oysters (12 varieties in all), delightful Bread and Butter, and the Shrimp Toast and Crab Cakes were both top notch. All washed down with a cold Anchor Steam on tap. Hard to beat that. Hudson’s – if you like game meats, it’s a must. Everything from rattlesnake cakes to venison to quail to boar. A bit of a drive northwest of Austin, but absolutely perfectly grilled exotic game. the backspace – small rustic Italian restaurant in the East 6th area with fantastic thin crust Neapolitan wood-fire oven pizzas and excellent Italian wine list. Recommend the Proscuitto Wrapped Mozzarella Antipasti and the Peperoni Americano pizza and give the pizza special of the day a try. Their amazing Ricotta Cheesecake comes in a jar with a Graham cracker crumble crust and berries on top. Lenoir – tiny but cute husband and wife restaurant featuring 3 course prix-fixe for $35 with creative selections from Field, Sea, Land, and Dream (Dessert) emphasizing local ingredients. Dai Due – this restaurant has received as much national attention as any Austin restaurant in 2015 including one of the top 10 New Restaurants in the country by Bon Appetit. Chef Jesse Griffiths started Dai Due in 2006 and was a popular stop at the farmer’s market. When it went brick and mortar, expectations were high and they delivered. One of the new trend of restaurants focusing on hyper-local ingredients and in-house production of most other ingredients. 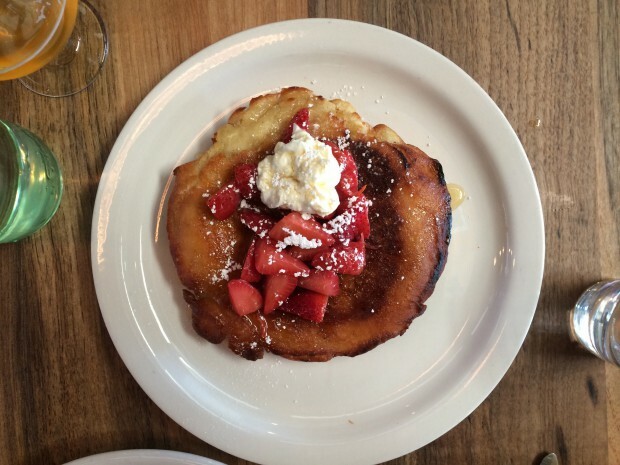 They offer breakfast, lunch and a rotating Supper Club menu for dinner. The pastrami sandwich was the best we have ever tried and the smokiness and tenderness of the meat could only be compared to that of Aaron Franklin quality. East Side King – Top Chef Season 9 winner Paul Qui’s East Austin food trucks have been popular well before he appeared on national TV. Qui has taken his “greatest hits” from his 3 food trucks and put them into a brick and mortar site in the back end of a dive bar called Hole in the Wall near the UT campus. The Kimchi Ramen with bacon dashi, pork belly and cabbage kimchi was a beautiful, filling and delicious dish and a great value for $8 for a massive bowl of soup. The Thai Chicken Kara-age and Brussels Sprouts Salad were also fantastic (the Beet Home Fries and Poor Qui’s Buns were less memorable). 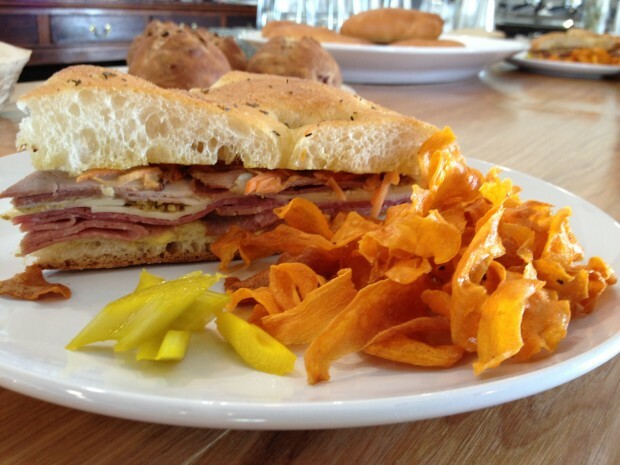 Salt & Time – previously a farmer’s market favorite now turned brick and mortar in East Austin. Salt & Time functions not only as an artisan butcher shop but also as a restaurant and coffee shop featuring the first outpost of local roaster Cuvee Coffee. Our first stop in town, their mortadella sandwich on foccaccia bread with house made chips was an ideal way to start our trip. We expect to hear great things from Salt & Time in the future. 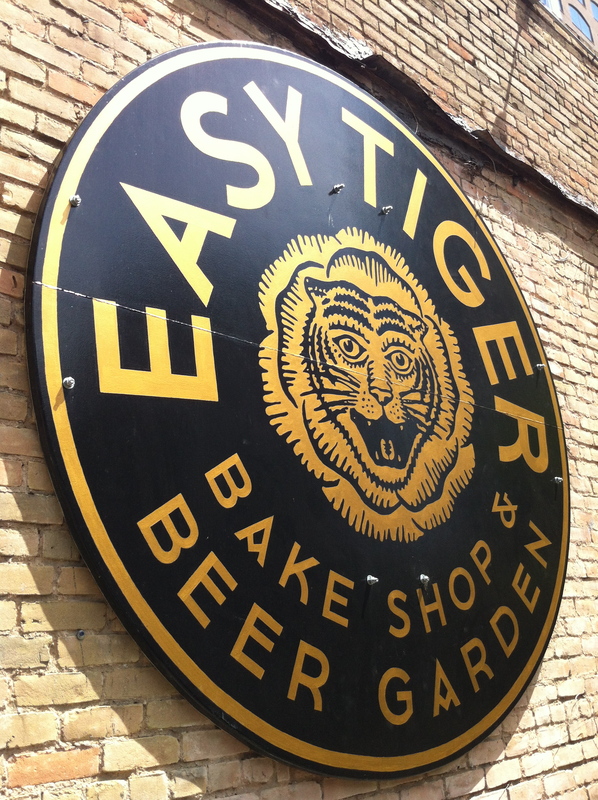 Easy Tiger Bake Shop and Beer Garden – Bakery and beer garden from 24 Diner’s Chef Drew Curren that opened January 2012. Though it is located in the not-so-nice part of East 6th right by 35, the actual place is fantastic. Upstairs, breads and soft pretzels are made and you can stop in and grab one to go. Downstairs a low roofed interior with wood tables resembles a European pub. But, the best part is through the back side downstairs – a large beer garden with long wooden tables, faux rock walls and ping pong tables. The soft pretzels with salted whipped butter were excellent as was the beer selection and smoked turkey breast sandwich. Contigo Austin – outdoor beer garden in East Austin featuring charcuterie and creative small plates (think oxtail sliders). The space is beautiful and instantly one of the hot spots in town for outdoor drinks. 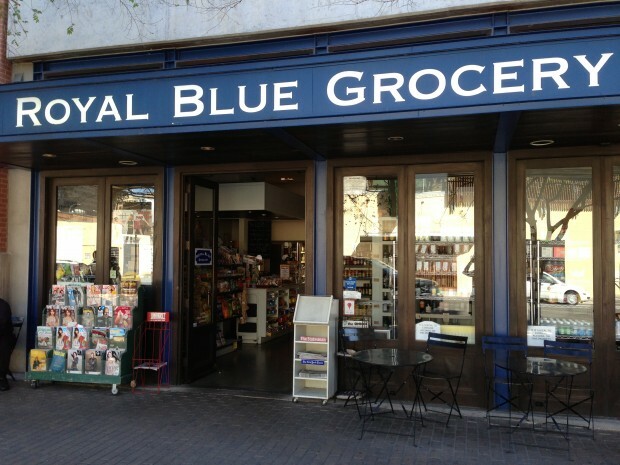 Royal Blue Grocery – you know Austin is officially a big city when you have 3 of these cool small urban groceries downtown. Basic grocery staple needs sit along side some of our other favorites: Jeni’s Splendid Ice Cream, Chameleon Cold Brew (coffee), and a rapidly growing list of Austin Craft Beers. Breakfast tacos and sandwiches also available. Juan Pelota – tiny coffee bar located within disgraced cyclist Lance Armstrong’s Downtown/Warehouse District bike shop, Mellow Johnny’s, now pulling espressos with coffee beans from Portland’s fantastic Stumptown Coffee Roasters. 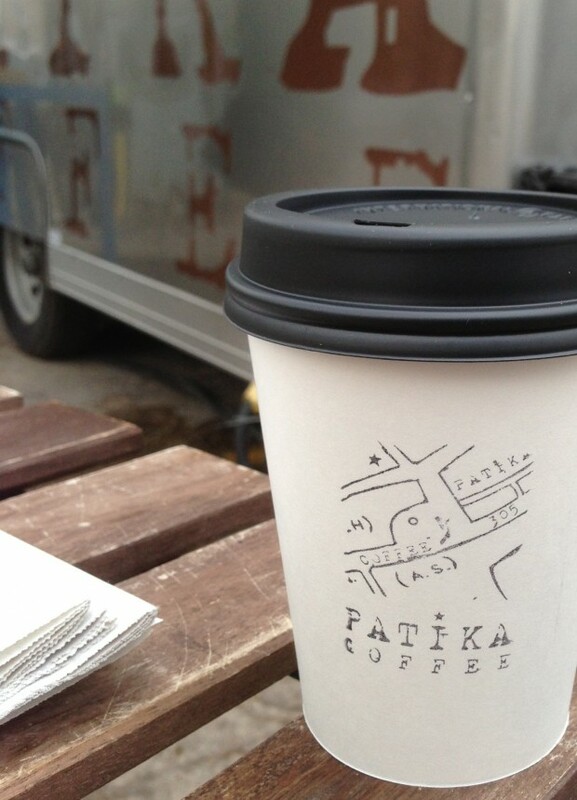 Patika Coffee – one of our favorite places to get coffee in Austin – they opened a brick and mortar in 2014 on Lamar and it is quite lovely with a nice patio out back. Also check out the original coffee cart which is in downtown Austin. (Side note – downtown Austin is becoming a serious hot spot for high quality coffee. Within several blocks are Houndstooth, Patika, Juan Pelota, Jo’s and Caffe Medici.) Expert baristas, excellent pour over featuring Cuvee Coffee beans and wonderful pastries from Flour Bakery. 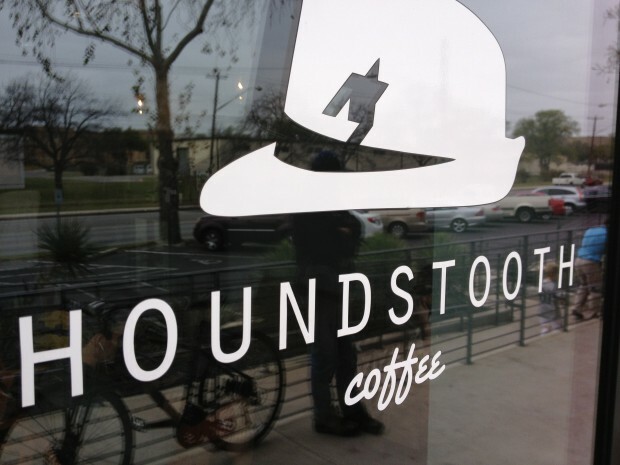 Houndstooth Coffee – there seems to be three main types of “Third Wave” coffee shops. 1) those that roast their own high quality beans, 2) those that have a relationship with and brew beans from a single artisan coffee roaster, and 3) those that brew with beans from multiple different roasters from around the country. Houndstooth Coffee fits into the third category (much like Nashville’s Barista Parlor) utilizing beans from Chicago’s Intelligentsia Coffee, Durham’s Counter Culture , LA’s Handsome Coffee Roasters and Austin’s Cuvee Coffee. Now open in two locations, one on North Lamar next to Uchiko an the other recently opened in the Frost Bank Tower downtown. Both are great and worth checking out. The other thing that we love about this place (and may Austin coffee shops in general) is that that have several local beers on tap and wine available. Wright Bros. Brew & Brew – this East side favorite is the epitome of Austin coffee shops of the moment – quality coffee beans thoughtfully prepared and quality beer (much of it Austin and Texas based) on tap. Expect to find beans from Austin’s own Flat Track and from San Francisco’s Sightglass Coffee. Their beer selection is excellent 38 taps and additional hard to find large format beers as well. Flat Track Coffee – this tiny shop in the back of East side’s Farewell Books boasts some of the best beans in the city. 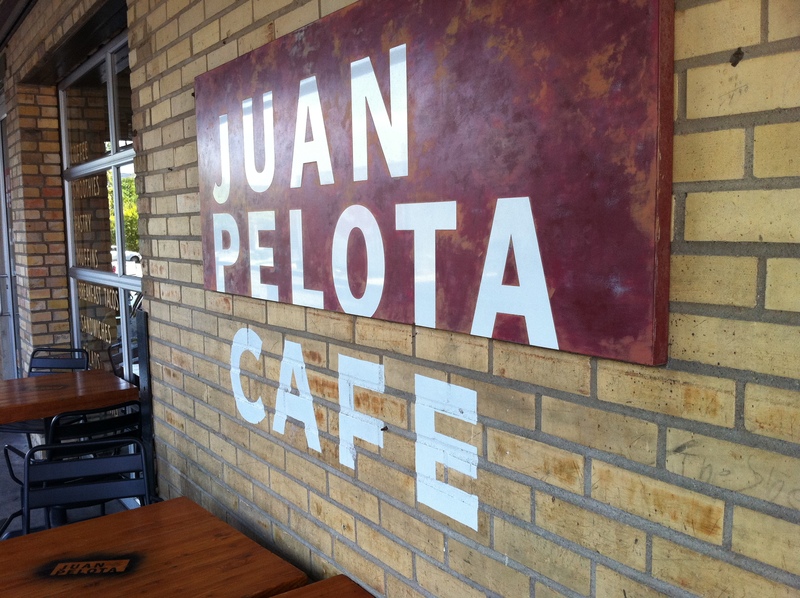 If you are a serious coffee fan and seeking out Austin’s best, this should be on your list. 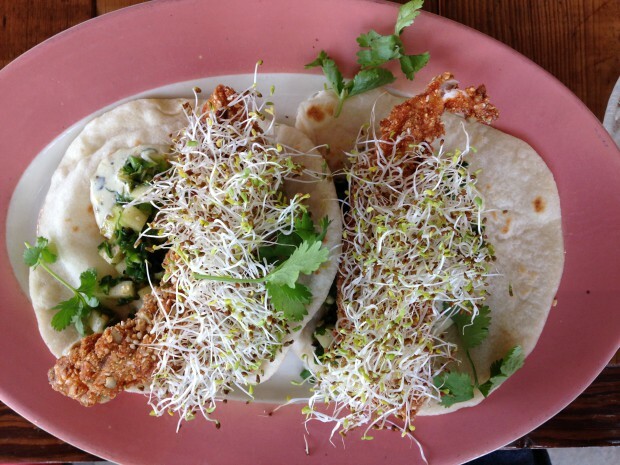 Veracruz All Natural – there are at least several hundred places in Austin to get breakfast tacos – these are the best we’ve had. 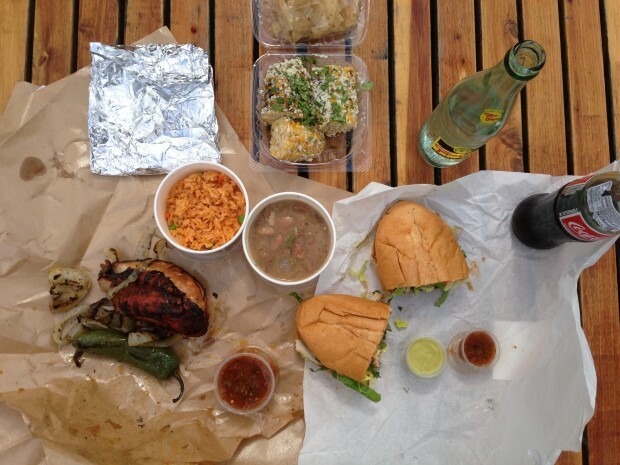 They have 3 trucks going presently – #1 on E. Cesar Chavez, #2 E. 7th and a #3 which has opened up at Radio Coffee & Beer. 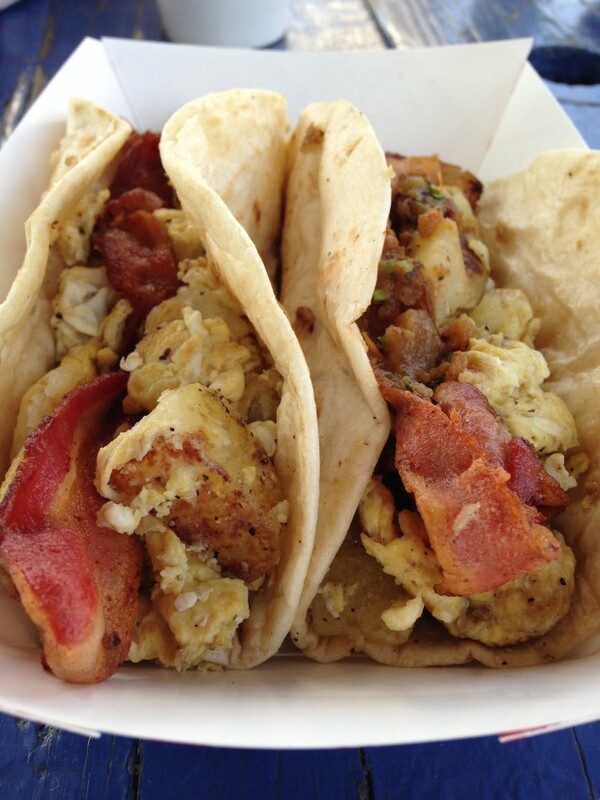 If you want to do what the locals do, keep it simple – get breakfast tacos with bacon, egg and potato. The migas tacos are also great. Chi’lantro – formerly a Korean- Mexican fusion truck with several throughout the city, now with a brick and mortar restaurant on South Lamar which opened early 2015. 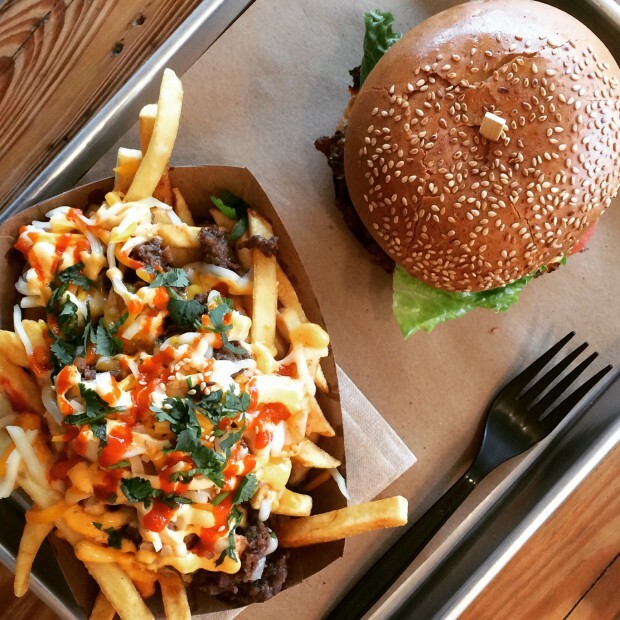 The Kimchi Fries and the Bulgogi Burger are some of the best burgers and fries you will ever have. Hey Cupcake – fun cupcake trailer in the South Congress area. The red velvet cupcake and the carrot cake cupcakes are moist and fantastic. Jester King Brewery – you can find bottles from this specialty brewer at various places throughout the city, but a trip to the Hill Country to visit their brewery should be considered a must for craft beer fans. 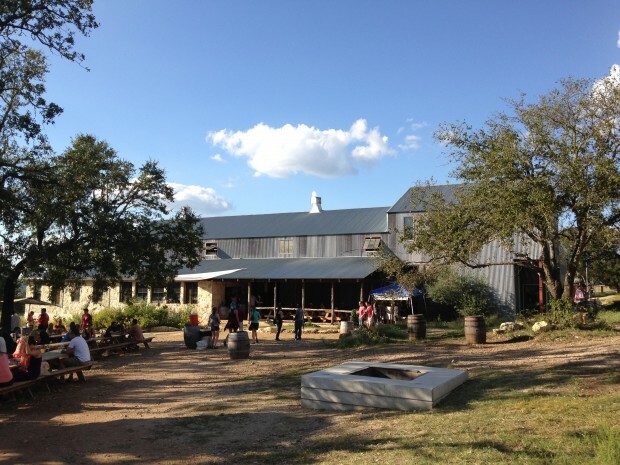 Jester King brews out of a farmhouse and is surrounded by the open beautiful hill country landscape. On site, you can get fresh draft beer from the Jester King tasting room as well as purchasing unique bottles to go. They are experts in wild ales and spontaneously fermented beers and have a distinctive taste and look (check out their labels and beer names) unlike any other beer we have had. Definitely try the Omniscience & Proselytism if you can find it – a barrel-aged sour beer refermented with strawberries. You can also get a pizza from Stanley’s Farmhouse Pizza while you are there. Both beer geek and kid friendly environment. Lady Bird Lake/Town Lake – hike and bike trail right in the heart of Downtown. Thousands of people run there every day. You can also kayak, paddleboard and canoe on it as well. 6th Street – sort of like Mardi Gras every weekend, except 90% of the people are UT students. 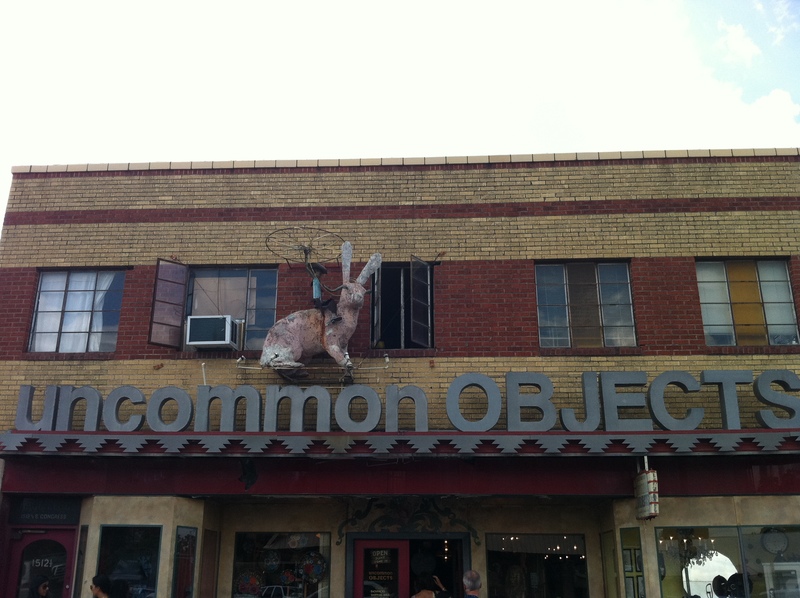 South Congress Shops – quirky, kitchy shops. Fun to browse. Many nice boutiques and shops as well. Alamo Drafthouse – best movie theater in the country (according to Entertainment Weekly and us.) Even the previews are uniquely Austin. Funky place. 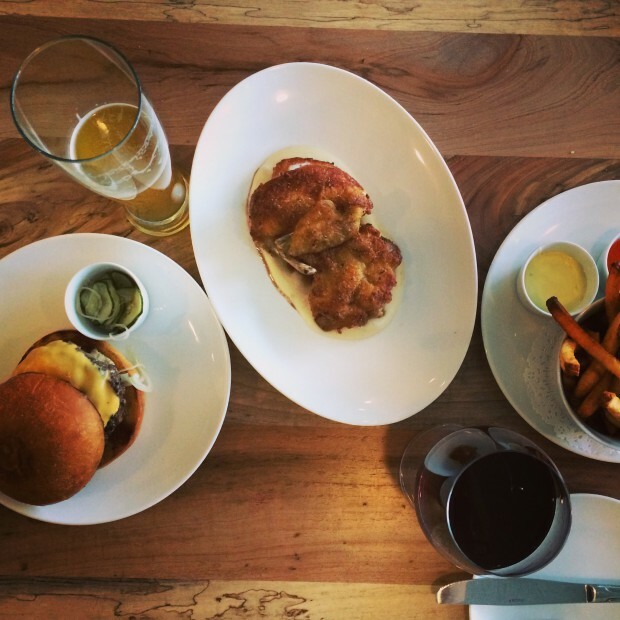 You can get great beer on draft and even get some pretty decent food too! 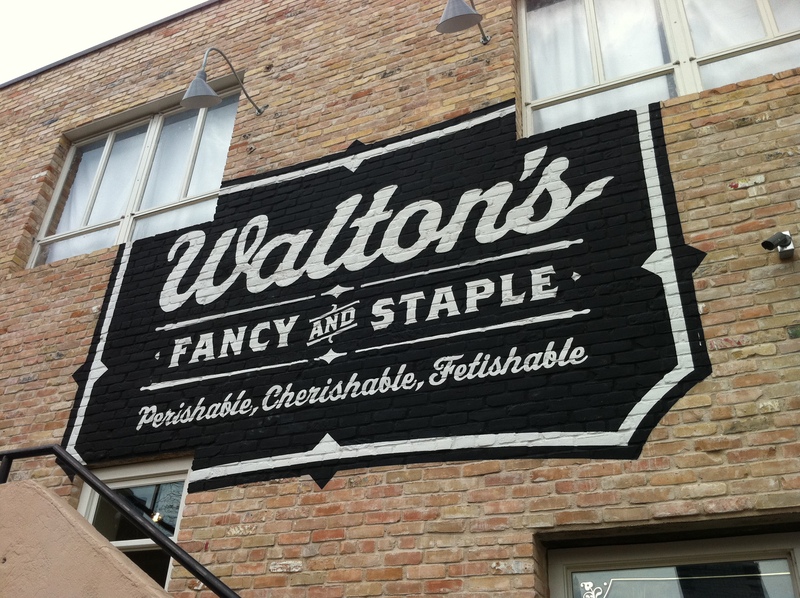 Waterloo – one of the few remaining great record stores. Downtown on Lamar blvd. Hiking – there are multiple areas for hiking in Austin, most are best when the water is high enough to enjoy a dip. Sculpture Falls, Twin Falls, Bull Creek, Emma Long Park and Hamilton Pool are all great options. Mount Bonnell – Great look out spot over Lake Austin. Popular spots for first dates and proposals. Beware of the 100+ stairs to the top. By George – great upscale boutique with women’s only shop on South Congress and men’s and women’s boutique on 5th and Lamar. Many high quality makers including Rag and Bone, Cavalli, Paul Smith, Haute Hippie, Aesop – had a new look in 2015 to the South Congress store. 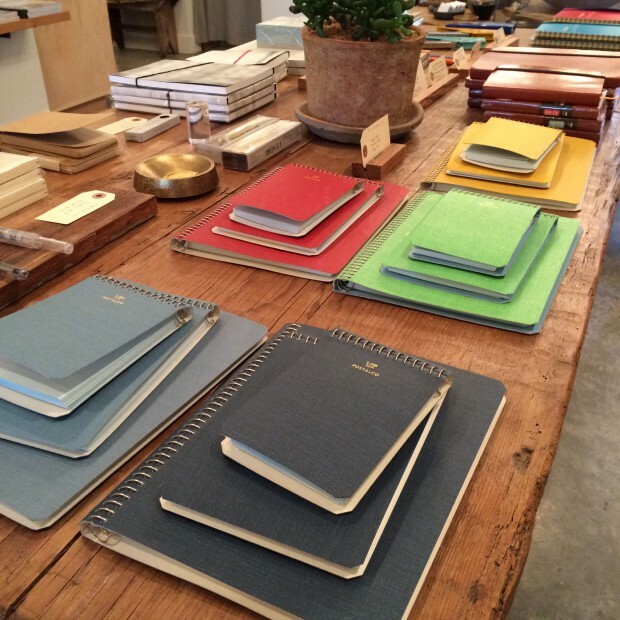 JM Dry Goods – beautifully curated small homewares and clothing on South Lamar. Would recommend a stop in here and it’s adjacent store Spartan. 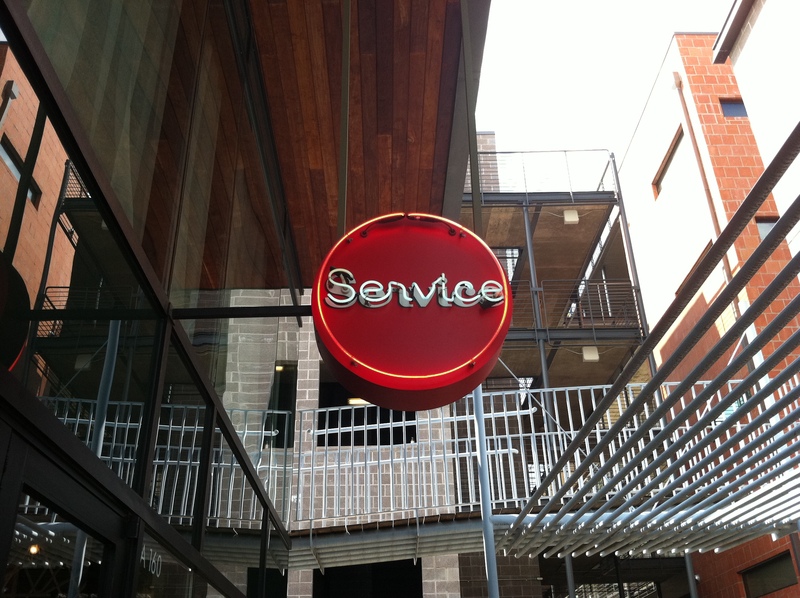 Service Menswear – great casual men’s store on South Congress with brands like Jack Spade, Original Penguin, Naked and Famous, Woolrich and Levis. They use a special wash method on all of their shirts that gives them a wonderfully soft feel right off of the rack. 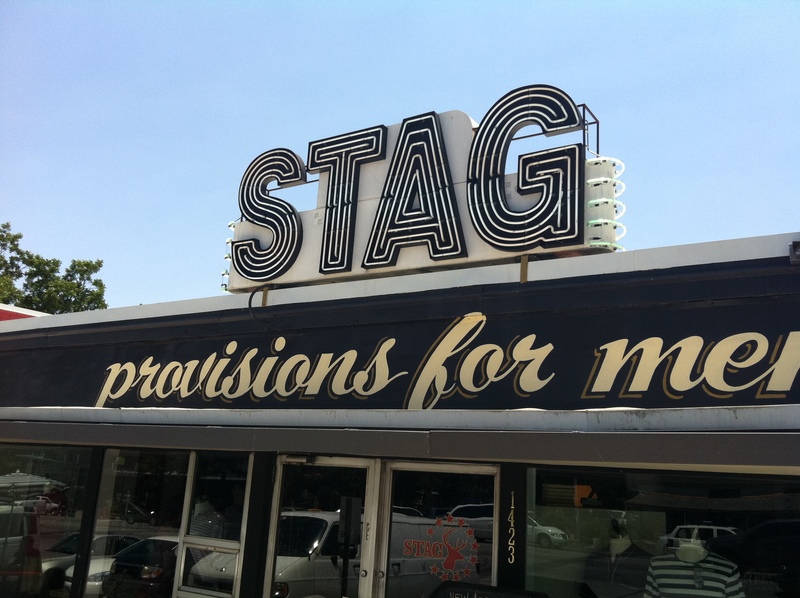 Stag Provisions for Men – Wonderful men’s store on South Congress featuring Hamilton Shirt Co., Malin + Goetz, RRL, Red Wing, Imogene + Willie, Filson, and Saturdays Surf NYC and . Selected as a Top 10 Independent Men’s Store in GQ magazine. Press: GQ. They also have locations open in Dallas and Venice, CA.